If you’re new to scrapbooking, you’ll need lots of free and easy scrapbooking ideas to help you along! This website is here to help beginners get started on this addictive and rewarding hobby where you tell stories… using papers, photos, glue, words and your memories! I still remember the first time I set foot into a scrapbook store years ago. Seeing rows and rows of beautiful patterned papers, and boxes and packages of pretty embellishments quickened my heartbeat! I left the store empty-handed not knowing where to start. It was a dizzying experience as my head exploded with new possibilities. My heart found a new purpose. I would learn how to scrapbook. And I did. What I’ve come to understand is that, you don’t have to be an artistic person to create an attractive page. Anyone can scrapbook when armed with memories and some basic supplies. We all have the ability to create and so we are all creative in this sense. Start seeing yourself as a creative person. You can create attractive pages, and you will! Let the storyteller in you emerge. Start opening your eyes to little details. 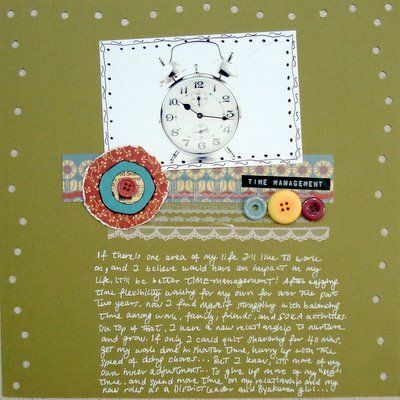 Let your mostly ordinary, everyday life and the occasional special events, find their way into your scrapbook pages. Start recording your personal life stories. Document those stuff that really matter to you and make you who you are. Celebrate your life through scrapbooking. Play and have fun with papers, photos, glue and journaling. Experiment, and don’t get overly concerned about making mistakes on your layout and ruining it. It happens, just like life happens. More importantly, enjoy the process of creation and capture bits and pieces of your fleeting memories. This way, you won’t fall behind and you’ll be guilt-free. You can breathe easy and know in your heart that it’s really doable. Even if you stopped scrapping for awhile and come back to it later, it’s okay because you can simply pick up from where you stopped by choosing a new memory to scrapbook. Easy. Not sure where to start? How to do it? 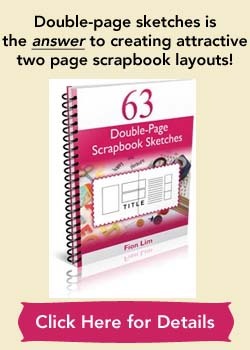 Want a step-by-step guide that shows you how to create your first scrapbook page? Use this website to learn the basics of scrapbooking and fiddle with the ideas and suggestions here. Feel free to scraplift my pages, as I too have been inspired by many other scrapbookers. I don’t create stunning pages, and I don’t come up with groundbreaking layouts, but you know what, that’s absolutely fine because I’m preserving my memories and in the midst of it if I created something pleasing, that’s enough. That’s a joy in itself. 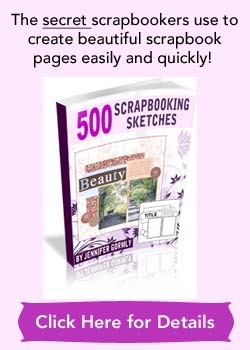 Learn how to scrapbook so you can start creating your first scrapbooking page. Take a peek at the gallery to see some of my layouts. Get inspired by 50 page ideas that make you focus on creating pages about… you. Find out how scrapbook sketches/maps can be a big time-saver. Watch videos to learn new techniques and see visually how things get done. Learn how you can organize your supplies to achieve a clean scrap book area. Pick up some scrapbooking quotes to spice up your journaling. Find out more about digital scrapbooking and get information on how you can get started. Wow! This is great! I remember trying my hand at scrapbooking years ago and loved it but digital?! So cool. Thank you for this and keep up the good work! Can I buy a hard copy of your sketch books? If so, please send purchasing information. I love that you don’t always use pics. Telling stories about your life is AWESOME. I wish I journal more, it’s great that you do. Just found your site, maybe some of your skills will rub off as I look through your site. Please feel free to visit my site again for more scrapbooking ideas! You don’t always have to include photos of people or faces in your layouts. 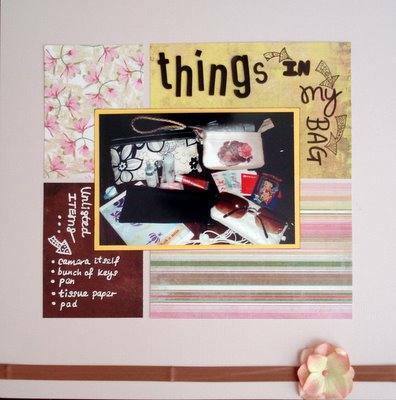 Sometimes, just a a photo of things, could help you tell your story on a scrapbook page. 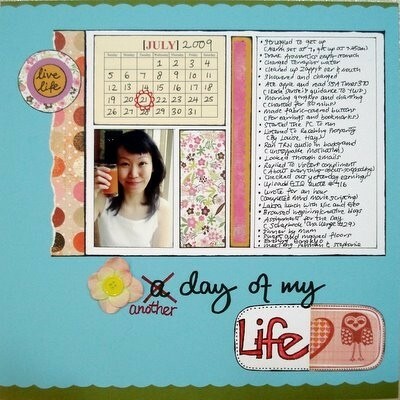 There’s different ways for you to express yourself and have your memories and stories documented on a scrapbook layout. Have fun scrapping! It’s so fun learning especially when you put your heart into it.